Formerly the Property of Mr. Nicolas Cage. Among the many vehicles put on sale, a lot of unique Bugattis will be offered, of which a T55 of 1935 in excellent condition. CHICAGO, Dec. 10, 2003 -- BorgWarner DualTronic(TM), the company's wet-clutch and control-system technology for a new-concept automated transmission that was launched this year on the Audi TT 3.2 and VW Golf R32, is on the 2004 Bugatti 16.4 Veyron. The industry-first technology enables a manual transmission to evolve and perform like an automatic transmission, yet deliver vehicle fuel economy improvements over automatic transmissions. "The Bugatti 16.4 Veyron is the fastest, most powerful production vehicle ever built," said Tim Manganello, BorgWarner Chairman and CEO. "While the volume of a limited-edition vehicle is small, the role that DualTronic(TM) plays in the Bugatti certainly illustrates the far-reaching potential of the technology. The system's capacity for extremely fast yet imperceptibly smooth clutch-to-clutch shifts -- not to mention its ability to manage the highest engine output on the road, powered by four BorgWarner turbochargers -- figures prominently in the vehicle's performance." With DualTronic(TM), starting and shifting characteristics can be easily adapted to achieve a very smooth feel that rivals the conventional automatic transmission, with fuel economy improvements in the 10-to-15 percent range. Manganello said BorgWarner expects the demand for this technology to grow to 18 percent of the European passenger car market by 2010, and to gain a foothold in North America and Japan during that time. Development of the system for VW was the result of collaboration between engineers throughout BorgWarner's network of technology operations, and based at the BorgWarner European Advanced Transmission Development Center in Ketsch, Germany. DualTronic(TM) earned BorgWarner a VW Group 2003 Excellence in Development Award, which recognizes exceptional performance of suppliers to VW, Audi, Skoda, Seat, Bentley, Bugatti and Lamborghini. Twenty-five suppliers were honored in the areas of quality, logistics/delivery, entrepreneurship, environment and development. BorgWarner was one of only two U.S.-based companies to receive the award, and the only supplier in the drivetrain area of the five companies honored in the development category. I did take care in trying to remove all old links etcetera, but if you might still encounter one, please inform me of this. While you´re at it, take a look at another special site I made recently: www.Special-Classics.com. Onfortunately for you, the very original Ventoux has already been sold. 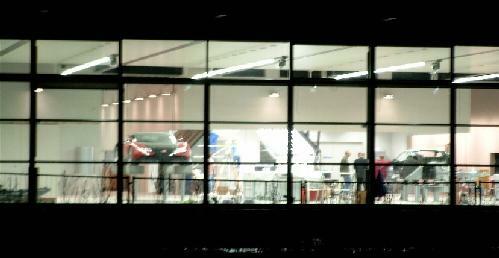 The Atelier Veyron is very well nearly finished, the first workers have begun assembling the first Veyron´s in Molsheim, as these nightly shots show. Production will start with 15 employees, which number will gradually climb to a miximum of 50. 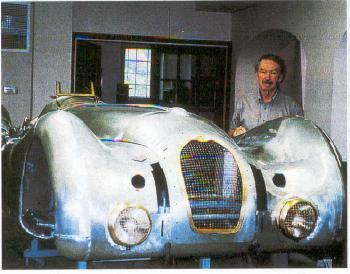 From May/June 2004, the cars are to leave the Atelier at a rate of one per week. Meanwhile the 8 prototypes that have been assembled in Wolfsburg, are being tested at the moment in extreme conditions in Sweden and South Africa. Tests were also foreseen in the Alsace region, where Bugatti used to test their creations in between the two wars, but the cars proved to attract too much attention there. News about the apparent problems with the car, engine, gearbox, tyres are being contradicted by the factory. According to them, the final fiddling concerns mainly the aerodynamics and the weight distribution, to get the car absolutely perfect. 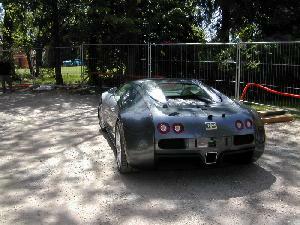 The buyers of a Veyron, after having chosen the color and leather of their car, are welcomed for a week at Molsheim, where a few apartments are being build in the annexes of the Chateau St.Jean. Of course, there will also be quarters for the chauffeur and personnel (will the chauffeur be happy enough to pilot the Veyron also), as well as a library for Bugattistes, as well as an atelier for reparation of the legendary Bugattis that were built in Molseim from 1910 t0 1946. Bonhams & Butterfields Auction in Hershey, October 10, 2003. Contrary to reports in the European press and elsewhere, Bugatti officials insist there will be only one version of the EB Veyron 16.4—the one with the 987-hp, 8.0-liter W16 engine. Word was that tires for such a supercar, tires that could withstand a run of 252 mph until the tank ran dry, meant Bugatti would have to dial back the power. Not true, say company officials. WELT AM SONNTAG, The Bentley Arnage might receive the W16 engine from Bugatti Veyron, which develops 1000 ch. The two marques are part of the German Volkswagen group, and are now coming closer together then they ever were! More important news is that Bentley will not show up at the 2004 LeMans 24 hours race. It was stated in 2000, when Bentley announced its participation, that this would be only a 3-year project. It was stated earlier on these pages, that rumours existed that for VW first Audi was to participate at LeMans, then Bentley, and then Bugatti. The statement from Bentley, is an indication that this could well be true. Dr. Thomas Bscher (51) will be the follow up for Mr. Neumann as chief of Bugatti. Bscher will take the wheel from December 1, 2003 when Dr. Karl-Heinz Neumann will retire as President of Bugatti Automobiles S.A.S. Neumann has been with Volkswagen for 38 years, and will now take some well-deserved rest. Thomas Bscher has great experience in Management, as well as in racing. Between 1986 und 1995 he was a manager for Sal. Oppenheim jr. & Cie., Köln, since he has been working for his own companies. Probably the best feat in his racing career was a 5th place in Le Mans 1999, driving a BMW. "Management- experience and great affinity to Motorsport are a happy combination for the Bugatti Marque", commented Dr. Bernd Pischetsrieder, Vorstandsvorsitzender of Volkswagen AG, on the coming change. Thought you might be interested that the Nethercut Type 51 Dubos Coupe (see right), which took "Second in Class R-5", behind the "Best of Show" winner walked away with "Best of Show" at the Palos Verdes Concours d'Elegance on September 14th and the "First in Class R-3" in Pebble Beach, a 1931 Bugatti Type 49 Gangloff Faux, won "Best of Show" at the Newport Coast Concours d'Elegance last Sunday, October 5th! By the way, it also won best in Class and the runner up was a 1929 Type 46 Cabriolet, shown for the first time after complete restoration. The T49 and T46 (a very shiny example!) are shown below. RM auctions, Monterey, August 2003. This news didn´t reach me before, but was issued June 2002. Therefore I think it were just rumours, we should have heard something by now! Volkswagen AG's Bugatti arm will follow up its 1,001-hp EB 16.4 Veyron supercar with a smaller version that only will generate about 800 hp, reports Britain's Auto Express magazine. Due next year, the full-size Veyron will feature VW's new 8.0-liter W-16 powerplant, which combines two V-8 engines into a compact "W" architecture. VW hasn't announced an introduction date for the "Baby" Bugatti, which Auto Express says will get a detuned variant of the W-16 or a turbocharged version of the W- 12 powerplant slated for the upcoming VW Phaeton and Bugatti Nardo luxury cars. VW launched the double V format with a 4.0-liter W-8 engine on this year's Passat sedan. The W-12 and W-16 engines will be built by VW's Bentley arm in the U.K.
VW confirms that a smaller Bugatti is in the works but says other unidentified projects have higher priority. The automaker tells Auto Express the smaller Veyron has moved ahead of a previously announced limousine version of the car in the company's development plans. The new Bugatti models will mirror other upcoming VW Group offerings. In addition to the Phaeton, high-output vehicles from the company's Audi and Lamborghini units are in the works. The new Lambo, codenamed L140, will generate 500 hp, and the Audi RS6 is rated at a relatively modest 450 hp. Each of the new vehicles will top 200 mph and zoom from 0-60 mph in less than four seconds. Under this title comes a message from Molsheim / Dorlisheim. Allegedly, during the work in progress in the Chateau St. Jean or the neighbouring buildings (which are in fact being restored at the moment, the restoration of the chateau has already been completed), a box was found. 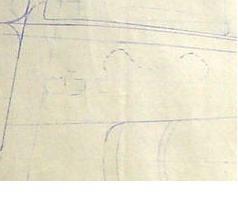 In the box were documents dating from WW2, with plans by Ettore for a new car, that was to be produced after the war. At this time, we do not know yet if this is true, or a rumour of the type "urban legend" or "Hoax". We hope to be able to give more information soon! In this "ARTS DECORATIFS DU XXEME SIECLE" auction, a Rembrandt Bugatti sculpture will be auctioned, the 1911 Faon, estimate 30-40kEuro. 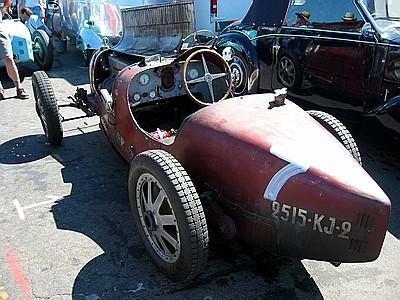 On offer will be a "1934" T55 Roadster, Chassis BC 92. 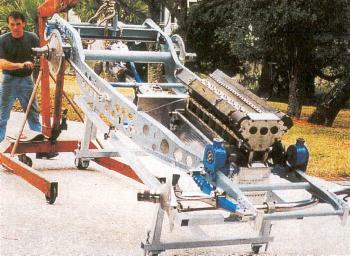 This is a post-production example completed in 1995, using original and newly manufactured components. You may remember that, back in March 2001, I wrote an article about a newly discovered Bugatti design, dating from 1953 or 1954. 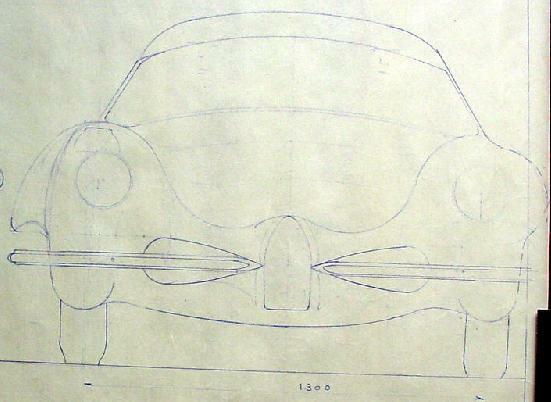 The article was published in the Bugatti Revue, and was all based on a tiny photo of a factory drawing. Now, finally 2 and a half years later, I saw the full size drawing, and received some photos from the current owner of the drawing, Don Stephan. It turns out that, what I had designated to be a T102 coupe (because of the size, as well as the year), is actually a Colombo designed rear-engined coupe! The drawing was dated 1-3-54, and signed by Colombo. It is designated 125 and shows the "Etude Carrosserie". 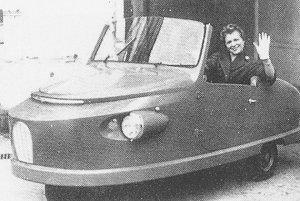 It is in fact a very tiny , quite modern car, of only 3.50m length, 1.20m heighth. Front width 1.80m, rear width 1.50m. Wheelbase 2.30m, track 1.30m. In the detail shown, an outline of a twin-cam engine can be seen. This engine might be a 4 cylinder version of the T251, which makes this T125 a predecessor of the T252. The engine is set very far back, just in front of the rear wheels. However, to make things complicated, on the side view shown above, also an outline of a front engine can be seen, with the top equalling the top of the wheel! It may be that no decision had been made yet. I will not assume that it than would be a double engined car! (though probably to Ettore´s liking). The body is characterized by two pontoons (or torpedos), running from front to rear, and partly enveloping the front wheels. In the top view an outline of the extreme positions of the front wheel can be seen, probably to calculate the minimum turning circle. The car is extremely tapered, like the later Citroën DS would be. The top view actually resembles the DS very much! The front view shows a very narrow horse shoe on the front, and a different treatment for the left and right sides. When comparing the drawings shown here, with the one made by Werner Striek in 2001 from the very bad copy I gave him, it shows that we were not too far from the truth! Only the length was overestimated a little. The overall shape is very good, the horseshoe a little too wide. Maybe some further info on this project will surface one day. Anyhow, it only once more emphasizes the conclusion I drew back in 2001, when I stated that a lot of designs were made after WW1 (a lot more for small 4 cylinder cars than for bigger cars), but that none was developed far enough to reach production. Thanks to Don Stephan, Bart Rosman, and Werner Striek for the 3d view. With the T125 added. Engine data is taken from the T251 (and halved). The engine capacity coincides with that of the T252. Approx. 10 Carlo Bugatti furniture items at Christie´s Art Nouveau auction in London. Most of the cars (including the Bugattis) did not reach their lower estimate, or did just reach this, like the top piece, the Atalante. This fabulous car will stay in the Netherlands. 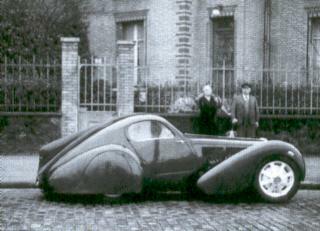 The 5 Bugattis on offer all came from either the Netherlands or Germany. 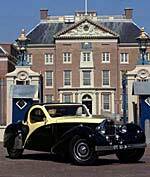 Apart from the auction, there were quite a few Bugattis at the Paleis het Loo Concours d´Elegance, and there was no rain, so a beautiful event. 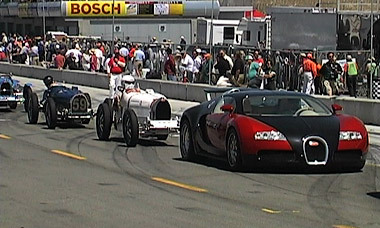 Williamsons newly restored Atlantic best of show, Michael Gans wins Bugatti race. 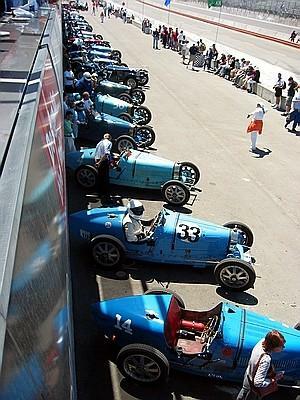 We already announced that this years Californian events would have a very high Bugatti content, with Bugatti the featured marque in Pebble Beach, and as always a very dense field of Bugattis at the Monterey Historics. A popular choice after dozens of Bugattis were featured in this year's Pebble Beach Concour d'Elegance, Peter Williamson was awarded the Best of Show trophy for his 1935 Bugatti Type 57SC Atlantic. "I thought that we had a pretty good chance of winning," Williamson told MSN Autos. "But the competition here is like no other automobile show; there is just one remarkable car after another. And I was just one remarkable car out of probably fifty." 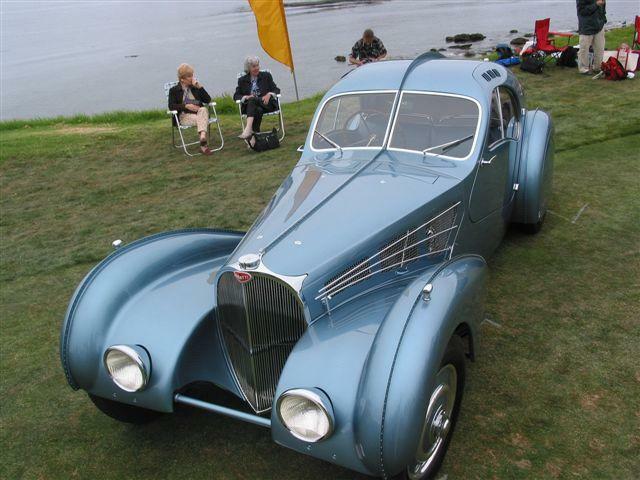 Between 1936 and 1938, only 42 Bugatti Type S and Type SC chassis were built, and only three of those received the legendary Atlantic body. Just two Atlantics exist today, and both of them were at Pebble Beach this year. The S in the name means that the chassis was lowered compared with other Type 57 models, and the chassis was also shortened. 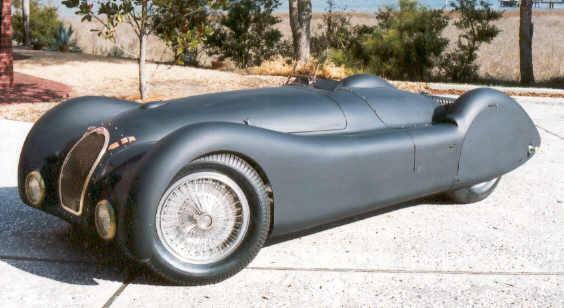 The C designates that the 3.3-liter straight-eight engine was supercharged, producing 210 horsepower. One of the most noticeable and unique features of the Atlantic coupes is the exposed rivets down the center line of the body. The Atlantic prototype was made of magnesium which posed challenges in joining the material and the rivets were used. 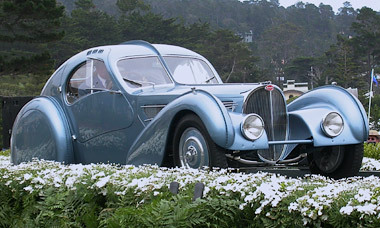 The two Bugatti Type 57SC Atlantic coupes that were at Pebble Beach were produced with aluminum bodies, but the rivets were still used. 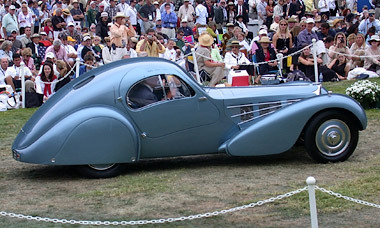 The other 1937 Bugatti Type 57SC Atlantic is owned by Ralph Lauren and is a previous Best of Show winner at Pebble Beach in 1990. Pebble Beach Concours d'Elegance co-chairs Sandra Kasky and Glenn Mounger rode to the stage in a 1932 Bugatti Type 41 Royale Henri Binder Coupe de Ville. 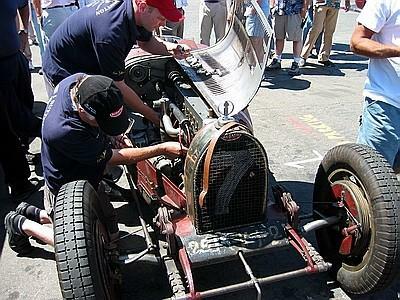 Only six Bugatti Royales were ever built and they were massive cars, 6.5 meters long with huge 24-inch cast aluminum wheels. The Most Elegant Open Car award went to the 1914 Rolls-Royce Silver Ghost Barker London to Edinburgh Tourer, owned by Douglas R. Magee, Jr. The Most Elegant Convertible Car award went to the 1938 Bugatti Type 57S Gangloff Cabriolet, owned by Arturo & Deborah Keller. Also second only in prestige to the Best of Show award are the J.B. Nethercutt Trophy for the Most Elegant Closed Car and the Strother MacMinn Trophy, awarded to the most elegant sports car. 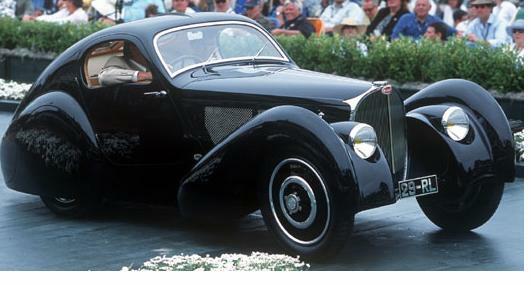 The Strother MacMinn Trophy was awarded to the 1934 Bugatti Type 59, owned by Ralph Lauren, of New York, NY. J.B. Nethercutt has won more Best of Show awards at Pebble Beach than anyone else. The Nethercutt award went to Roger & Sissy Morrison for their 1929 Rolls-Royce Springfield Phantom I Brewster Riviera. Source: Autos.msn.com. Of course they made a few mistakes: of course there are 3 Atlantic´s, including the beautiful #57473 which belongs to Nicolas Seydoux (Paris-France). This years winning Atlantic is not of 1935, but of 1936. The Bugatti race was a total succes, with Michael Gans winner overall, Dutchmen Bart Rosman (13 overall) winner of the T37 class, and Hans Hugenholtz in T43 winner in the Touring class. The new Bugatti, the red and black Veyron spun out in two full 360 degree dirt and gravel throwing out-of control spins during the parade lap, it nearly crashed. According to sources close to Bugatti in Molsheim, K.H. NEUMANN is still the boss of Bugatti. Meanwhile the building of the atelier makes good progress, the highest point has now been reached. It is said that the first pre-series Veyrons will be delivered before the end of 2003, with regular delivery commencing April 2004. I don´t know what exactly causes this, but there seems to be a rapidly growing interest in Bugatti. I can see this in the number of daily hits for the Bugatti page, which has been constantly rising from a maximum of approx. 500 per day a year ago (300 hits average daily), to a maximum of almost 1200 last week (over 700 on average, daily). It is possible that there are more than one cause for this, on the one hand probably the growing interest in the new Veyron, on the other hand probably the recent Pebble Beach event with Bugatti as the featured marque also plays a role. Most of the visitors get to my site through a search engine, Google being the most popular. Meanwhile, the site will continue as ever, the recently developed Veyron is Ok, but in my eyes I succeed with my site, if some young guys looking for info on the Veyron enter my site, and get to appreciate the real Bugattis! Karl-Heinz Neumann, in the VW-concern responsable for the sportscar-marque Bugatti, has to go. According to information from the German news magazine DER SPIEGEL director Bernd Pischetsrieder holds him responsable for the failed premiere of the 16-cylinder-model Veyron. 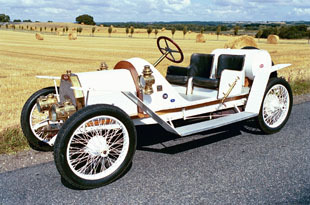 Due to overheating engines and aerodynamic problems the market-introduction of the 1001 HP car was postponed for a year. For information contact Marlys Keoshin e-mail: auntiem1@pacbell.net. The Featured Marque for Pebble Beach will be Bugatti, and at Laguna Seca there will be an all Bugatti race on Saturday, August 17. Inlet manifold from a"Royale" Autorail engine. Featured marque will be Alfa Romeo, so I don´t know if we will see many more Bugattis! Every year, the second sunday of September, a commemoration meeting will be held in Molsheim, in memory of Ettore. This year, the main subject is the Automotrice Bugatti. So we are trying to have the last "living" automotrice from the "Musée du Chemin de Fer" in Mulhouse. It's not easy, but it's really possible. The train will stay in Molsheim's station during all 3 days of our Festival. Having it in Molsheim is really an exploit that only our president Henri Elsinger can do. July 29, 2003Bugatti in F1? But remember what VW Group head Bernd Pischetsrieder said about Bugatti: that it is VW's alternative to being an entrant in F1 and "gives our customers a chance to own a research and development prototype". Fine, except there's plenty of rich folk out there for whom rampant horsepower and unreal performance are less appealing than exquisite engineering, rare materials and exclusivity: just look at the way the Hollywood glitterati now likes to arrive at the big occasions in environmental cars such as the Toyota Prius. And, let's face it, climbing out of one of these would create more of a stir than the most outrageous supercar you could imagine. Now available for Bugatti National Club members! A limited run of 700 copies has been printed and due to the length of time between this edition and the last one (1988); we anticipate a strong demand. The new Register details the histories of 453 Bugattis known to be in the US, including 35 cars lost or broken-up in years past. This latter subcategory is a new category, but their histories were felt to be of sufficient interest to warrant inclusion, particularly as various collectors made several photos of these "lost" cars available to the Registrar to enhance their stories. There is a photo for nearly every car in the Register, save for a handful that have been out of sight for many, many years, as well as the majority of T52 electric children's cars where variations between examples are so small that it was considered redundant to have more than a few pictured. The book has a dust-jacket, hard cover and runs 308 pages and is comparable in size to the British Register, only longer by 80 pages. Roland Perret - a painter is working on a big fresco on the main road inside Molsheim. 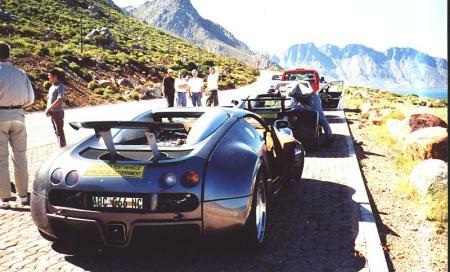 June 17, 2003Veyron final version presented in Monte Carlo! At the Art de l´Automobile exhibition, June 6-9, the production version of the Veyron was presented (The car keeps on changing, I do hope that this is the final version, if not this is really a car miniature collector´s dream!, to collect miniatures of all versions!). Biggest change from the last version is the big air exhaust, just behind the front wheels. Other changes are detail changes to the grill, headlights and the interior. Also the targeted weight of 1550kg could not be reached, the weight is 1600kg. But of course in such a car all luxury must be present, and luxury weighs. To be able to talk with the passenger at speeds over 300, the Veyron is fitted with a Soundsystem with integrated communication system for pilot and passenger. Apparently two of these final cars are ready, a blue and black and a red and black version. Including the 3 cars which were used for tests, it seems that now over 6 running cars must have been made, 2 of the final production version. For those who find only 1001 HP a bit slow, a sports version with 1100 HP was announced. 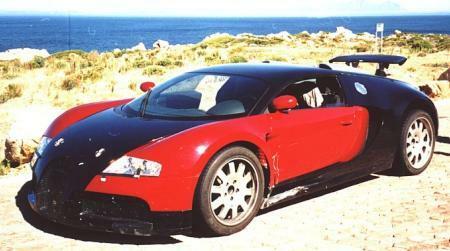 Price tag for the "regular" Bugatti EB16.4 Veyron is 1.16 million Euro. A 0-100 time is now mentioned of 2.9 s, with the 0-300 accelaration in less than 14 seconds. At the exhibition, 33 old Bugattis were present, apparently from the first Prinetti & Stucchi tricycle, to the later models. Hopefully more about this soon! For those seriously interested to acquire a Bugatti Veyron, please contact Ms. Sabine Filter, Personal Assistant of Dr. Karl-Heinz Neumann, President of Bugatti Automobiles S.A.S., on +49-5361-503 7200. At the event also a new book (published by the factory) was announced, Ettore Bugatti & Jean Bugatti Art, Forme et Technique by Jürgen Lewandowski, Eugen Eslage. This superbly designed and large-format book is published in German, English and French as a limited edition of only 1,000 copies. Euro 298. The book has the following chapters: 1. Two lives for the automobile, 2. There are no compromises, 3. The wind loves speed, 4. The enemy is the weight, 5. 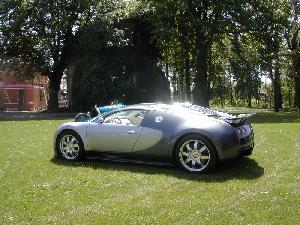 A thoroughbred needs a strong heart., and can be bought from the special website www.bugatti-book.com only . There are a lot of new photo´s, a lot of them details from the Schlumpf cars. While taking a look at the Bugatti website (www.bugatti-cars.com), it was very surprising to find a big item on the Bugatti EB110, before it seemed that the new VW-Bugatti more or less ignored this predecessor, and relied entirely on the Ettore Bugatti cars to focus the company´s alleged history on. 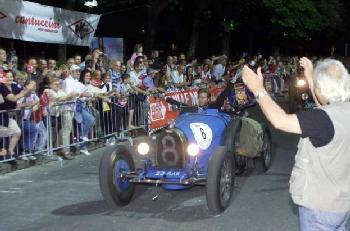 June 4, 2003Bugatti wins Mille Miglia! Seliecki came in second last year, and now that Cane (nine times MM winner!) was absent, he obviously could grab his chance. 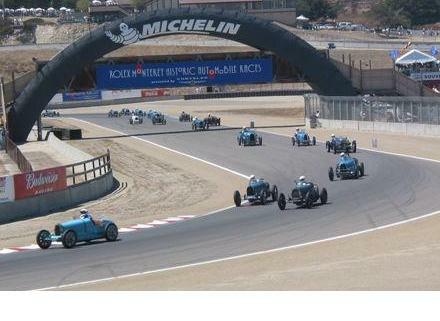 Totally 23 Bugattis competed (1x 13, 3x 23, 9x 35, 3x 37, 4x 40, 2x 44 en 1x 49). Five of them didn´t arrive or were disqualified. 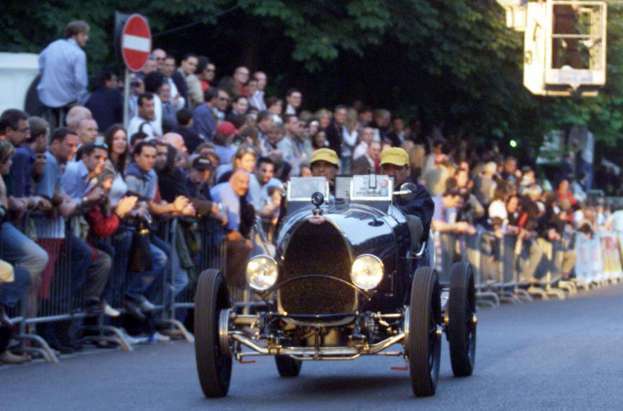 Remarkable also that 49 Bugattis were entered for the event, of which less than half could finally go. Normally with a Bugatti one has over 80% chance of actually being allowed to compete. 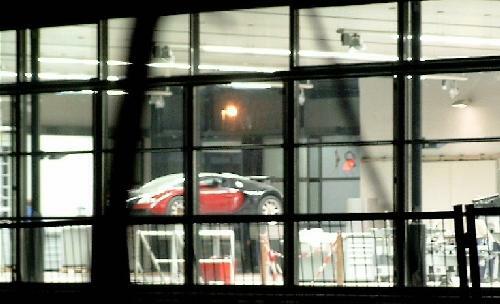 June 4, 2003Another Bugatti building restored! 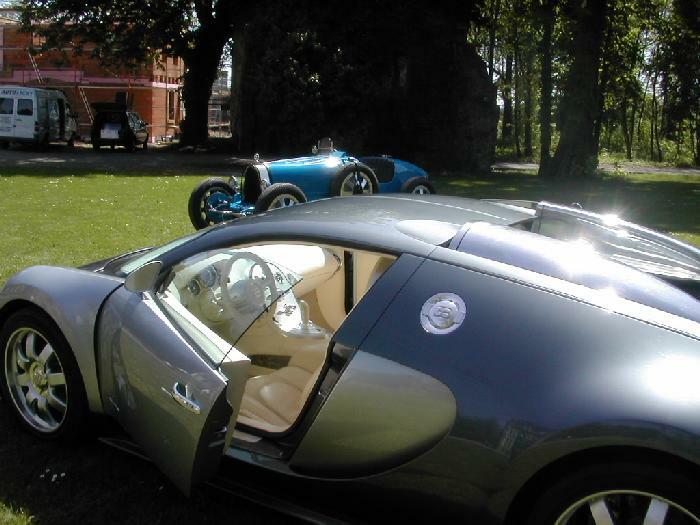 On Sunday, May 4 the Bugatti 16/4 Veyron was presented to customers, at the chateau St. Jean in Molsheim, France. Apparently presentations to customers also took place during the evenings on other days of the week following. The Chateau is slowly beginning to be more and more alive, KH Neumann will take his office there officially by the end of the year, also will new employees from Wolfsburg be brought to Molsheim. 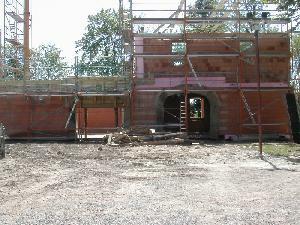 As he photo´s show, the rebuilding of the side buildings to the chateau is well on its way. 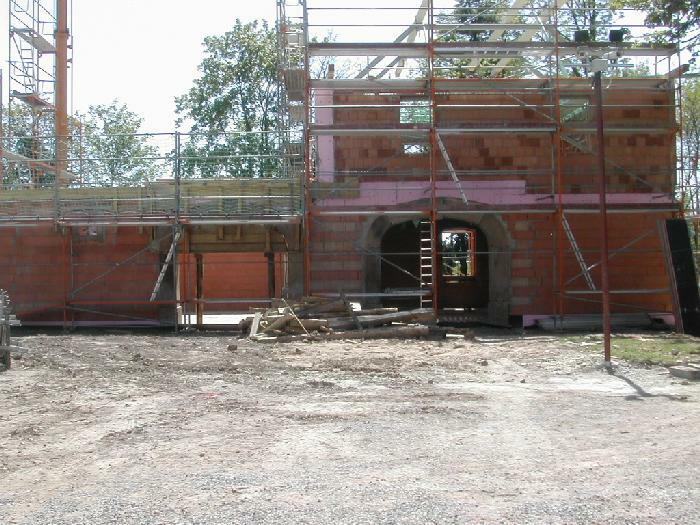 As for the Atelier, where the Veyron will be assembled, the first walls are now standing. As for the car, it is the same one as shown in Geneva, compare with the pictures of the test cars on this same page (click on a picture to enlarge), there are quite some differences, notable in the wheels, the heighth of the spoiler etc. This month the car will be also on show in Monaco. About the tires : The responsable of the prototyp told me that the tires have a problem : They are able to be used until 406 km/h but the abrasion is very high and must, with this high speed, be changed very often ! For a F1 car it isn't a problem, but for a seriecar it's embarrassing. Bugatti is to have soon a solution from Michelin. After many years on replica mechanicals, the fascinating baby Atlantic coupé "Birth" body will be reunited with its original T51 GP chassis, thanks to the vision of its owner, Jack Nethercutt. The project dates from 1937, when parisian Andre Birth invited Andre Roland to design a closed body for his ex-Louis Chiron T51 chassis 51113. The body was built by carrossier Lois Dubos, at 7, rue de Sablonville in Pairs, and had to be specially tailored, to suit Birth´s tall figure- The body build cost FF20,000, which compares to FF165,000 for a new T51 chassis. After several owners, the car had deteriorated badly by the mid 50´s, and was exported to the US. Here the body was removed to recreate the original 1931 Monaco and GP de France winner. 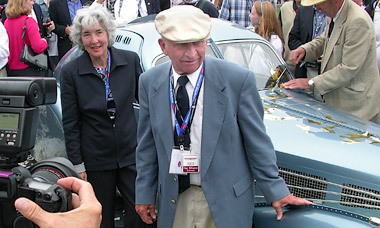 In 1959 the racer was acquired by Jack Nethercutt, who knew nothing of the car´s second life as a coupé. The coupé body was saved, and 30 years later Bob Sutherland put the body on a replica T51 chassis (by Ray Jones, who added to more confusion by also building a replica body, of aluminium this time) . Following Sutherland´s death, the baby Atlantic was acquired by Nethercutt for his spectacular museum. He decided to remount the body on it´s original chassis 51113. 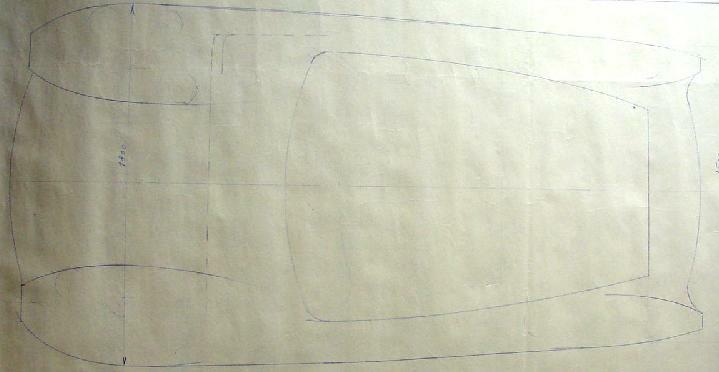 The completed car will be revealed at this year´s Pebble Beach, where the futured marque is Bugatti. 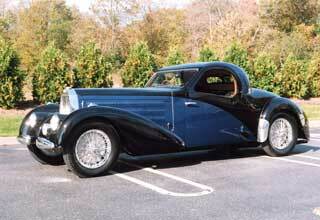 The Birth coupé will make a fascinating comparison with he freshly restored Atlantic of Dr. Peter Williamson. For the first time the two designs will be parked alongside each other. 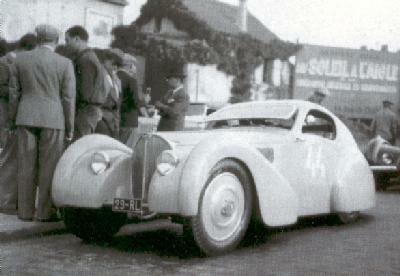 Pictures: Top: T51 Coupé at the start of the 1937 Paris-Nice Rally. Bottom: Car in 1938, then owned by Bitz of Pairs. A four-wheel drive T53 will be present this time, so now hope for some rain, so it can show some traction! 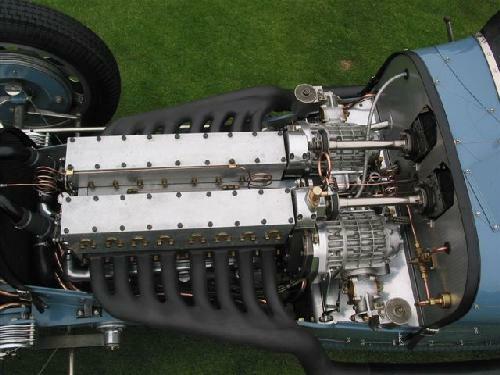 May 18, 2003Bugatti twin 56 cylinder engine. 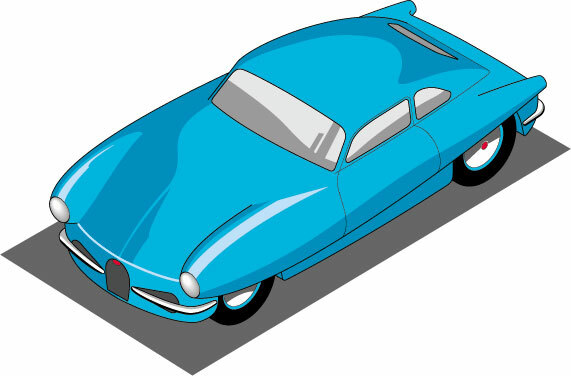 Ok, everybody knows that the Bugatti marque nowadays is not only connected with cars, but with a lot of other things, including lamps, men´s outfits, suitcases, waterpumps and probably even more. All these I guess are of little interest to the Bugattiste. One thing however, I would really like to bring to your attention, as it is quite exclusive, extravagant, and with a number of cylinders that might have even impressed Ettore! Genuinely custom-built aluminum marine Diesel engines and gear boxes are now available from BUGATTI Marine through Yacht Boutique. Before it leaves the plant, where every component is manufactured in- house, each engine is rigorously test-run and then disassembled for inspection before being reassembled for shipping. The owner is guaranteed that, should a problem occur, the technician who installed or commissioned the engine will be on board the yacht within fourty eight hours . There are over thirty models in the range, with three basic configurations. The four stroke turbo-charged and inter-cooled V-12 produces up to 1500HP, while the unique Radial series is either a four stroke turbo-charged and inter-cooled 42-cylinder unit offering up to 4000HP or 56-cylinder engine producing up to 5350HP. A twin 56-cylinder installation delivers no less than 10000HP. The 42 cylinder is probably 7 rows of 6, while the 56 is 7 rows of straight-eights! 112 Cylinders then gives 10 times the output of the new Veyron´s 16 half liter cylinders! Fine Motor Cars at Chiswick House auction. At this year´s festival some Bugatti highlights, notably the T251 (alongside a wild 16 cylinder double radial Trossi. Also an ex-works T59 making it´s post-restoratoin debut. 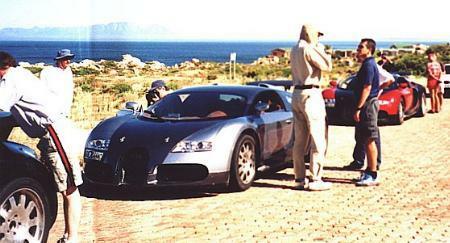 A Southern Cape family took photos of the three sensational Bugatti Veyrons. The Greeff family, Marianne, Derick and Annette, spotted these cars on the scenic coastal route between Betty's Bay and Gordon's Bay. The photos also show that there are special stickers on the Veyrons, which read: "High speed test vehicle - Approved by Government." This indicates that the cars are in South Africa for test purposes. The Veyrons was first spotted earlier this week on the Cape's West Coast and then a day later another Wheels24 reader saw them in the Overberg district on the N2 near Grabouw. There are no badges on the three test vehicles but they are unmistakably Bugattis Veyrons. The Bugatti Veyron is the hottest car in Volkswagen's arsenal. It features an 8-litre W16 (2xV8) muscle engine with a power output of 736kW at 6 000 rpm. Torque is a mighty 1250Nm. The car has a top speed of 406km/h and accelerates from 0-300km/h in less than 14 seconds! Obviously the wheels have changed (again) to a not-onbecoming T35-like wheel. 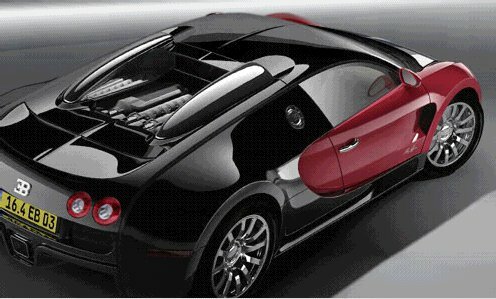 The Giant spoiler (which should lower below a certain speed) should prevent the Veyron from flying at high speeds. The cars really look aggressive from behind. The fact that 3 cars were tested, really does give the idea that VW is very serious about the Veyron turning out right, and thus about the Bugatti marque they created. Everybody has been waiting for the first photographs of a "disguised" Bugatti 16/4 Veyron showing up, though really covering the car up makes little sense, as the shape of the final production car is already very well known. So what do you do? One just removes the Bugatti Radiator grille and badge, that´s all. Also note the spoiler at the rear, probably needed for sufficient downforce at high speeds. The picture stems from a Tzech photographer, and was probably taken in the South of Italy at the end of February. First of an annual exhibition of Automobiles presented as works of Art, one week after the F1 Grand Prix. 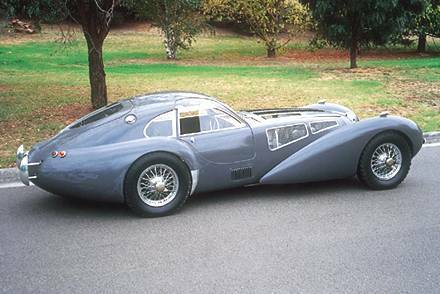 According to C&SC, june, there will be 35 Bugattis (before 25 were mentioned), with 4 specially coming over from the US for the exhibit. Present will be a Royale, a T57S Atlantic and of course the Veyron (Bugatti SAS is a sponsor, remember!). Also present should be (though there is discussoin about this) some of the great 1930´s marques, including Buccialli, Duesenberg, Delahaye and Delage. 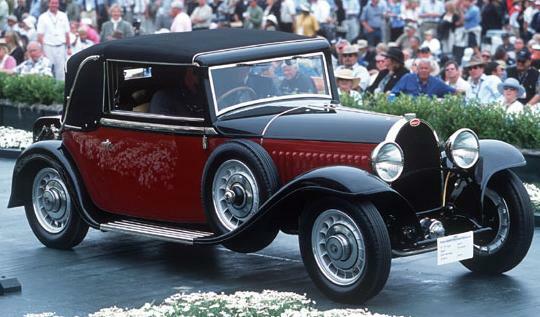 Twenty five examples of Bugattis, from the early "Pur Sang", the legendary T35, the monumental Royale and the voluptuous Atlantic, to post war efforts at revival of the marque will be counter-poised opposite their contemporaries from Alfa Romeo, Bentley, Duesenberg etc. Cars will be selected from important collections from around the world, as well as concept cars and new models from Bugatti Automobiles S.A.S. (the new VW-founded firm), who also serves as Marque sponsor for this premier edition. 1923 LeMans Rudge-Withworth cup on auction. 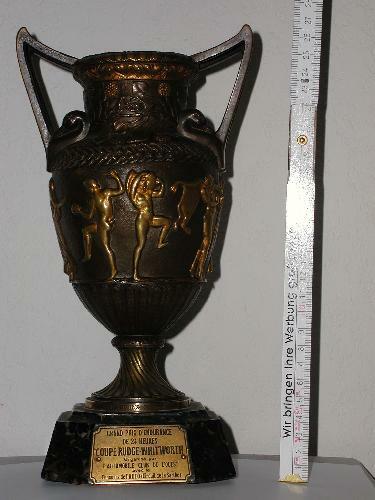 This cup was given to Mr de Portales and to Mr de Laroche Foucauld for 1st place in class (1.2 - 1.5l). They drove a Brescia for the event. 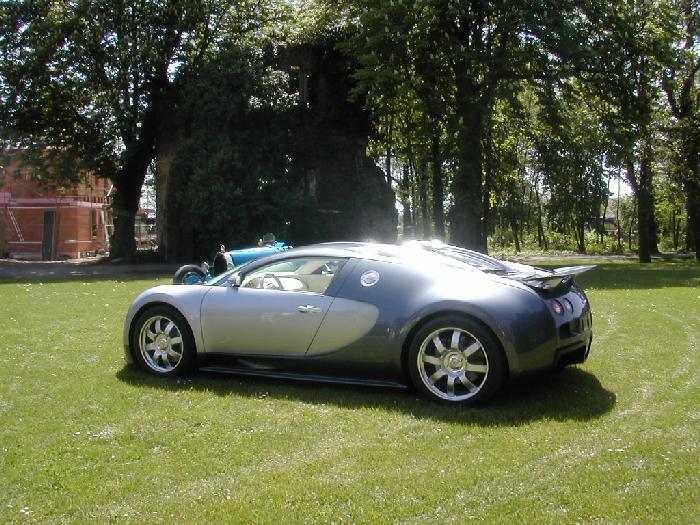 The 2003 European International Meeting will be organised by the Swedish Bugatti club, or more exactly the Bugattisektionen of Automobilhistoriska klubben, and will be held in the south-east Swedish town of Ronneby. Probably the slowest Bugatti of all! 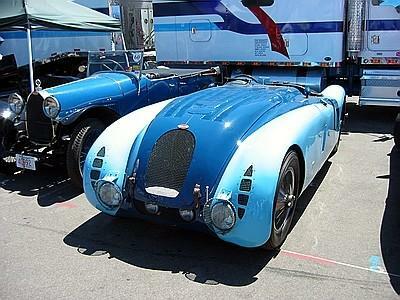 Existence of Bugatti Carriages was sometimes mentioned, though I had never seen one. Also known is that Bugatti owned a collection of carriages. 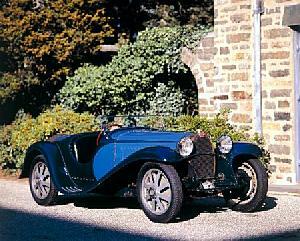 The pictures that can be seen on the CarClassic site, show some very characteristic Bugatti details. We have already seen several modern designs, inspired by the Bugatti T57S Atlantic, of which of course the Chrysler Atlantic is the best known example. Though other inspiration sources are mentioned, main inspiration seems to be the Atlantic, returning in the shape of the front wings, the grille even, and especially the openings on the side of the bonnet and their shape. The rear of the car is more modern (like Jaguar E-type) and not really Atlantic. They (DC Cars) are soon to launch a convertible version. With the onset of the second World War Bugatti left Molsheim and moved to a factory in Bordeaux, after the war Ettore Bugatti returned to the Molsheim factory, while during the war the machinery which had been shipped from Molsheim to Bordeaux was shipped back to Molsheim. In 1959 this Bordeaux factory was opened up and it produced the 3-wheeled OTI. 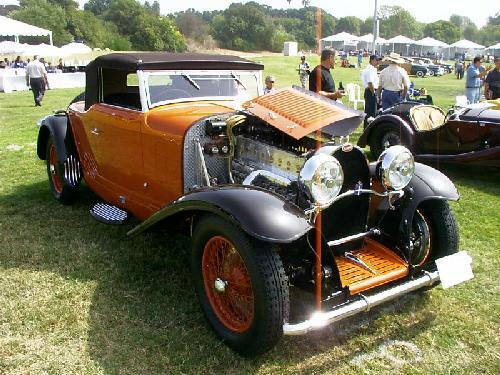 As the vehicle was made in the old Bugatti works it featured the famous Bugatti front grille. 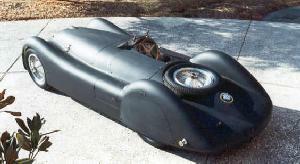 A one off, the vehicle was powered by a 125cc engine and featured an aluminium body. So, though it is not designed by Ettore, we can probably call this a Bugatti, in the same sense as other past WW2 constructions like the T251 and T252. No type number for this one though! 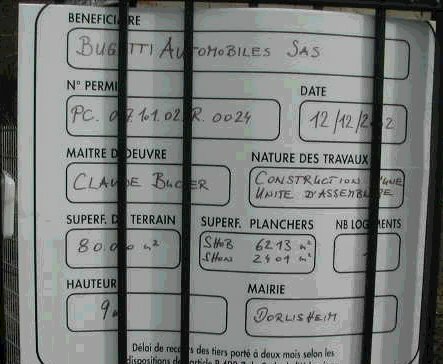 Is there anybody out there who has more information on this "Bugatti"? While others just dream about such a car, Ray Jones in the USA is actually rebuilding one, using a T59 chassis and engine. Though the March issue of Classic & Sportscar calls it a T59/50B (which it may chassis- and engine-wise well be), the body is much better known as the T57S45. Of two original cars, only one survives, be it not in the original configuration. Jones has based his car on a T59 chassis, as well as a genuine 4.7 litre straight-eight engine (from the Bugatti Airplane, ed). The rest of the car is being build in his shop from build sheets held by the Bugatti Trust. Some additional photo´s taken by Ray Jones, of the car which is almost finished! Christie's is delighted to be offering a stylistic marvel from automotive history on February 8th 2003 at Rétromobile in Paris: a remarkable 1932 Bugatti Type 55 Roadster (estimate EUR900,000-1,200,000) that is returning to Paris after more than 70 years. 1932 Bugatti Type 55 Roadster (Chassis 55208) from the estate of the noted American collector and Bugatti enthusiast, Bill Serri Jr.
Chassis no. 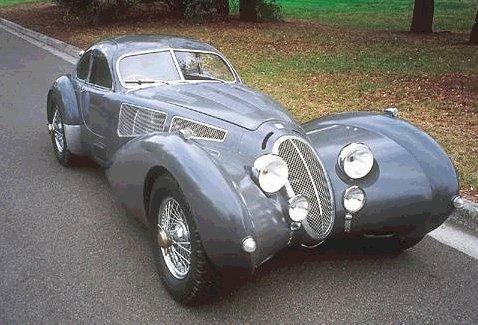 55208 was originally sold by the famous Bugatti agent, Lamberjack in Paris in April 1932. After residing in Monaco for a number of years, #55208 was later sold to an American connoisseur in the 1960's. Most recently, it remained in remarkably original condition in the Serri collection for over 20 years. #55208's return to France in February marks the first time in a number of years that a great Type 55 has been offered at auction. ESTIMATE EUR60,000-120,000 per design-prototype model. 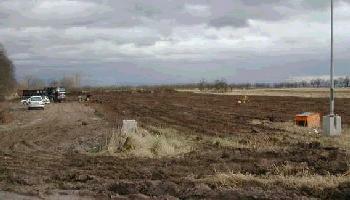 After some delays with the paperwork, the construction of the Atelier Veyron has now started. Molsheim based Guy Schitter keeps us posted of changes. When was Volkswagen planning to deliver the first Veyrons? 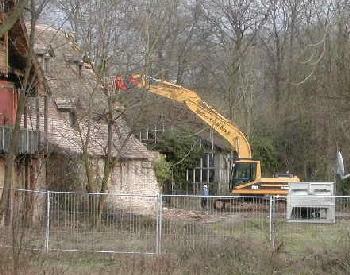 Here we see that the smaller buildings on the side of the château Saint-Jean are being demolished. They will be built up again new, identical to the old situation. The site where the Atelier will be build. Meanwhile the construction of the Atelier Veyron, also has started, 4 months after the official laying of the first stone by Karl-Heinz Neumann, president of Bugatti Automobiles SAS.